It was to take something of the bitter sting out of this equation that the mHealth & eHealth Development and Innovation Centre (MEDIC) at the college partnered in an intricately connected international project to build better health data in Tanzania. The East African country was taken on as a lead project of the ‘Better Immunization Data Initiative,’ one of the high-profile ‘pathbreaking solutions’ for global health funded by the Bill and Melinda Gates Foundation, designed to give affordable and reliable health technology a greater reach. MEDIC joined an international team gathered for the BID Initiative in Tanzania: IntraHealth International (USA), AIRIS Solutions (Albania), ecGroup (Canada), and the Tanzanian Ministry of Health and Social Welfare (MoHSW). At the centre was PATH, a widely respected international nonprofit organization tasked to develop and deliver health innovations in vaccines, drugs, diagnostics, devices, and systems. Routine immunizations and new vaccine introductions have proven to be two of the best investments to improve health around the world. And as the BID Initiative notes, even though current immunization ratesin Africa have climbed to near 75 percent, it will require much more “awareness, accessibility, and availability” to reach and protect the last 25 percent. But how do health providers know which of the three A’s matter most, and in which areas? Data. Or, more precisely, better data that will inform better health decisions, and so produce better health. Once that better data is on hand, there must also be better ways found to share and manage it. 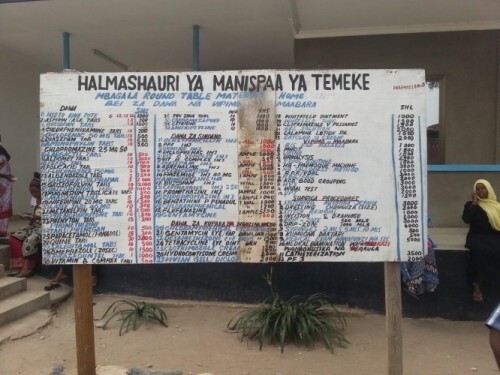 This is the portion of the mHealth equation in Tanzania that MEDIC researchers at Mohawk set themselves to solve. The interoperability requirements in Tanzania are very broad, Fyfe goes on to explain. The registry has to work with paper records that move by motorbike courier between remote villages, millions of vaccination cards that remain with the parents of children, migrations and emergencies, and also manage stocks of medical supplies. Where there is electricity and large numbers of patients -- in the cities, or district health centres --vaccinations can be registered with a computer or tablet. In remote areas, with no or only erratic electrical supply, registration can be done with ‘bubble paper.’ Vaccination and other health information is recorded as filled-in circles on standard forms, and the data captured via scans with mobile phones or simple devices -- the data simply and efficiently made acceptable by the larger electronic system. Each child is assigned a record with a barcode on the paper registry. All the data must converge, says Fyfe, in a way that children can be included and followed accurately in the national immunization registry, and critical data can flow back to front-line workers and facilities to keep vaccines on schedule and coverage complete. MEDIC worked quickly: only a few months after the kickoff meeting in mid-January 2015, the registry prototype began trials at selected locations in June in the Arusha Region in northern Tanzania. With tweaks from trial users incorporated, the registry will be rolled out to all 253 health facilities in the region throughout this year and into early 2016. It was the kind of challenge that software architects call ‘fun.’ Less fun, says Bender, is that the work had to be “disciplined” to use standards and open-source software already in operation. Where resources are scarce, system and software investments previously made have to be preserved. But there is also a need to avoid ‘lock-in’ dependency on a particular product or vendor, Bender says, which might frustrate development of the ‘best’ software architecture or system solution. He adds, that it is in these environments that MEDIC excels, with its “teaming, tooling, testing and training” approach. This article was originally published in the 2015 volume of Quanta, Mohawk College’s annual celebration of research and innovation. Author Andrea Johnson is Promotions and Industry Liaison Officer for iDeaWORKS and the editor of Quanta.